An exhibition celebrating makers, materials and machines. Dundee Design Festival uses the rich backdrop of a former print factory as context in which to describe what making means now. Dundee Design Festival uses the rich backdrop of a former print factory as context in which to describe what making means now. Featuring designers whose work embraces experimental processes and innovation in materials, ‘Factory Floor’ marks a moment in post-industrial production where craft and technology combine. Featuring some of the most exciting and experimental design practices in the UK and abroad, ‘Factory Floor’ explores how designers are improvising with materials, mixing industrial processes with digital techniques to create new forms. Playful, raw, and hugely inspiring, ‘Factory Floor’ brings you some of the most inspiring objects and ideas emerging from studios and workshops around the country. The exhibition brings together fourteen designers working across ceramics, furniture, interiors, jewellery, product, textiles, and healthcare design. 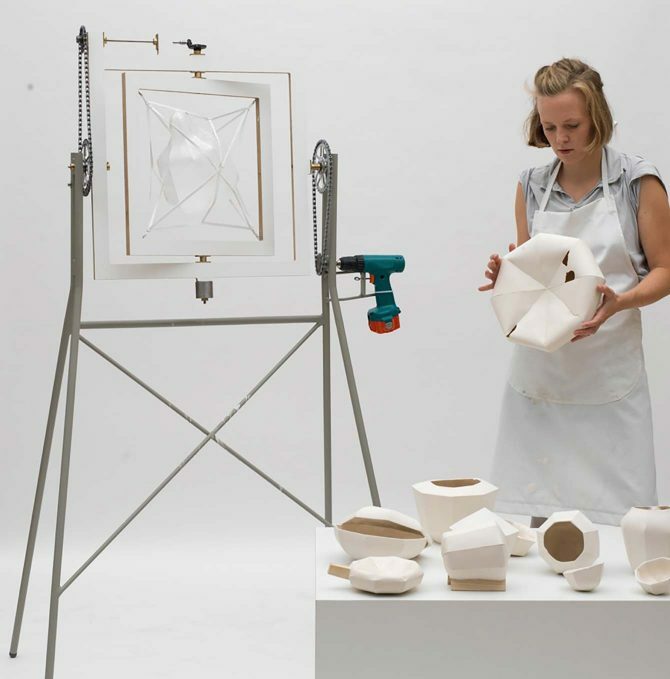 What connects their work is a shared curiosity to test materials and explore new processes.